Thank you so much for prepping my skis for the Birkie, I wouldn’t have been able to make the entire course without your expert waxing. My skies were finally fast! Just found your card…thanks again for the absolutely outstanding customer service during Birkie week. While the sudden snow fall sucked post grooming, your ski prep was terrific. Already looking forward to having you do my skis again next year. Mike and Elizabeth are great! Friendly and helpful. Great glove over mitt. They worked great today in single digit conditions. “Thank you for handling our spontaneous travel plans, again. It was a pleasure staying at the Start Line Inn, I can’t really imagine a trip to Cable, WI and not staying there now. “Elizabeth was an excellent host. She was quick on communication and flexible. She made check in and out a breeze. She checked in with us and gave us space. We rented both the Main Cabin and Coach House which were both extremely clean with open space. The kitchen well was fully equipped for cooking in the Main Cabin. Privacy for the multiple guest was minimal but that was as expected and even better for close knit groups. We would definitely come back! “Elizabeth’s place was amazing. Right on the birkie trail too. the hospitality was amazing – she upgraded us to the cabin since no one else was staying there. thanks again! 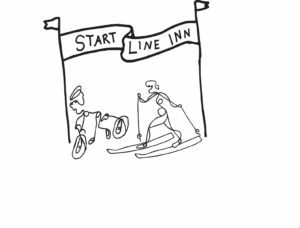 “Stayed at the Start Line Inn again…..but this time… the Coach House was a summer delight! Very simple accommodations, which fit us perfectly for days spent outside mountain biking on the luscious green forest singletrack and pizza at the local eatery. The hosts, Elizabeth and Mike are always there for any need, especially their excellent full service bike shop with amazing bike expertise you can rely on! You also can’t miss the newly opened Tilly’s Pie shop in town…..another future icon, along with the Start Line Inn….. for the town of Cable. 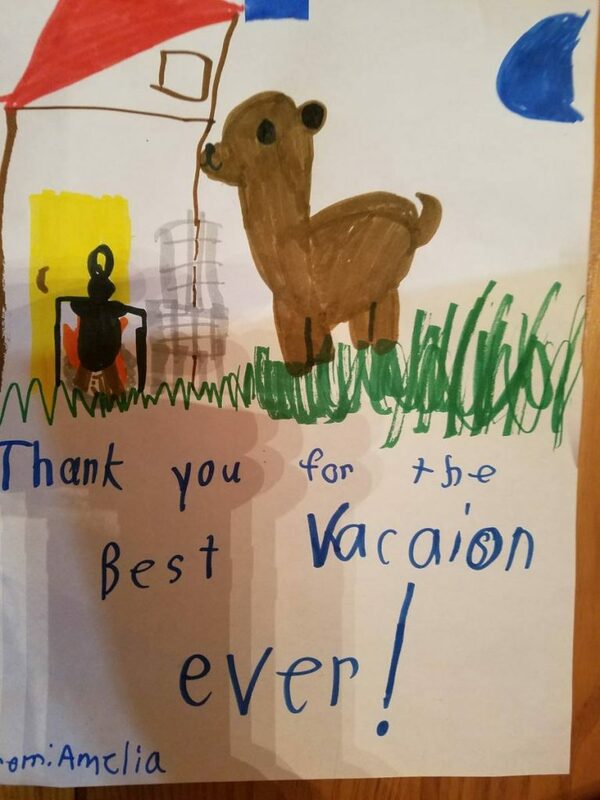 Thank you for making the Northwoods experience so memorable and we will be back again! 9. Has over 30 years experience of skiing and prepping skis. 10. You won’t be sorry. Mike did a wonderful job with our skis along with fitting us with new poles. We certainly felt like we were hooked up with the right people. Thank you so much for all your hospitality during your very busy Birkie weekend. Thank you Mike for your waxing expertise and encouraging words. Dear Mike, thank you for waxing our skis. They were always fast & had great kick. for giving us such a good accommodation and hospitality. Maybe, we can return this for You in Germany. I hope, we have left the coach-house in a acceptable condition. Have a good time and stay cool, healthy and sporty. Wonderful to have confident experts in the nordic skiing outfitting you along with waxing service!! Mike and Elizabeth’s place was absolutely perfect for our annual women’s cross country ski weekend. The cabin is beautiful and just steps from the Birkie trail. So many thoughtful and fun details in the space! We enjoyed cooking in the lovely kitchen and hanging out in the warm and relaxing cabin between time on the ski trails. Mike and Elizabeth were wonderful hosts — quick to respond to our questions and helpful in figuring out where to ski. We will be back! Very much enjoyed chatting with Mike about ski waxing- hope your business goes well. Would certainly trust Mike with my skis ! Very glad I decided to stop in and get the guided tour and access to the personal shopping experience! Super nice to meet you Elizabeth! 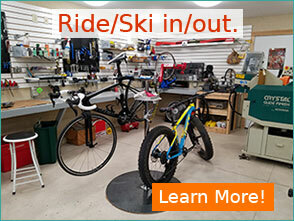 Thanks for your kind assistance in helping me get some quality new gear and the scoop on so many different things – Cable area outdoor fun related!! Michael Choate and Elizabeth Holland have owned property right next to the American Birkebeiner and Chequamegon Area Mountain Bike Association (CAMBA) trails in Cable since 2003. This proximity became an asset when the two opened their business, Startline Inn, in February 2017.